FSS offers veneer desking systems, which consist of a transitional line of wood office furniture for executive offices, individual workspaces, conference rooms and reception areas. Each line combines a high end look, tech-friendly features. 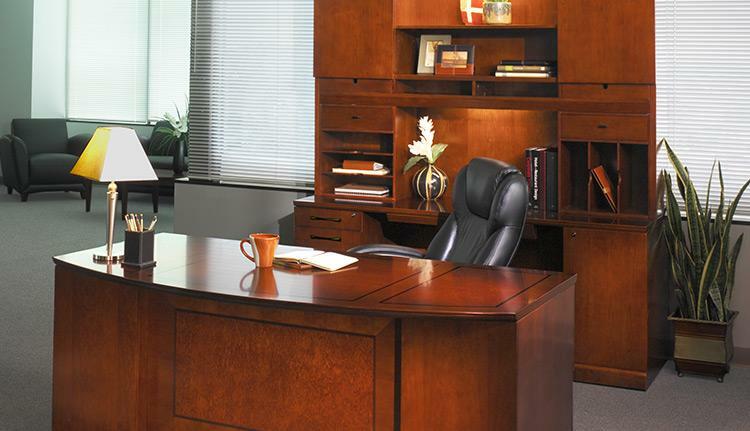 Our wood office furniture is available in a Bourbon Cherry finish with AA-grade North American Hardwood veneers used throughout. All locks are keyed alike and feature removable cores for installing “keyed different” locks after market.